White Fillings and Crowns - a Modern Approach to Dentistry! - Verdant Dental: The Friendliest Dentists at 1/1 326 Keilor Road Niddrie 3042! 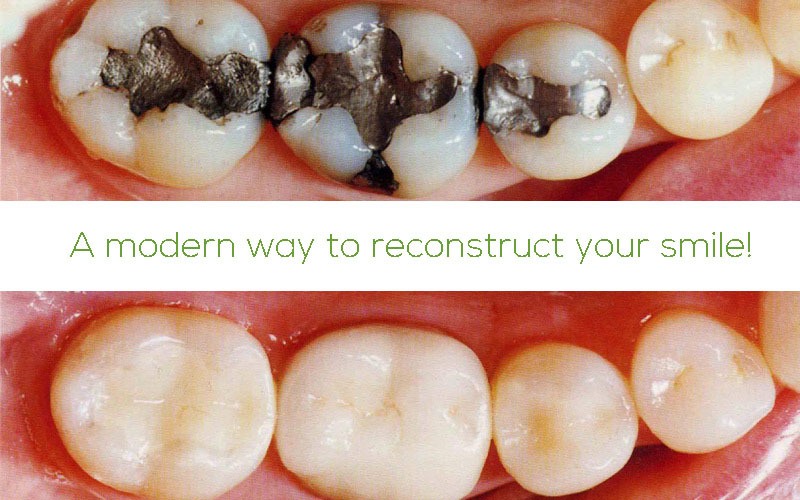 If you're not keen on seeing black or dark fillings, we can help recreate a natural looking smile! We have digital macro photography that can identify problems so you can identify exactly what you want to improve! Each of our treatment rooms have xray units so we can identify and remove all traces of any old fillings! All our dentists are highly experienced, who will explain your treatment fully and treat you gently! Our initial consultation and xrays will tell us how best to proceed with changing over any old fillings. If your old fillings are relatively small, changing them for white fillings is usually a fairly straightforward process. However, if your old fillings are very deep, or have cracks and other issues, we need to assess how healthy your teeth are. Sometimes if the nerves are no good (or even dead!) then changing the fillings alone won't solve your problem - we may need to discuss root canal treatment if the problem is extreme. In other cases, if you have really large fillings but good nerves, we still may be able to save your teeth by providing crowns (also called "capping") for these teeth.